Alimony, also known as “spousal support”, is payment from one spouse to another spouse after they have decided to dissolve their marriage. Alimony payments provide financial assistance to ex-spouses who were financially dependent during the marriage. Alimony is intended to ease the transition to single life and help maintain an acceptable standard of living for spouses who were financially dependent on their ex-spouse. Florida family law courts have a lot discretion over this process, including whether or not alimony will be awarded, for how long payments will continue, and the amount of support that will be paid. If alimony is awarded, the alimony payments should be an amount that is sufficient to provide a reasonable maintenance of living standards to the ex-spouse. The court will often consider the cost of food, shelter, clothing, transportation, and other household expenses of the ex-spouse when determining the amount of alimony that is sufficient. Suit Alimony (pendente lite) – alimony that is paid while the divorce has not yet been settled by the court. This is intended to provide temporary financial relief to a spouse while the divorce is pending. Durational Alimony – economic assistance for a set period of time. The duration of the alimony payments may not last any longer than the duration of the marriage. For instance, if a marriage lasted only 2 years, the durational alimony payments may not exceed 2 years. Durational alimony is typically reserved for marriages lasting less than 17 years. Rehabilitative Alimony – alimony that is awarded to a spouse who has stopped working due to the marriage, and needs support for a period of time until he or she can reestablish their career. This type of alimony requires the recipient to provide the court with a specific and defined rehabilitative plan for their career. Bridge-the-Gap Alimony – intended to assist spouses with a legitimate, identifiable short-term need while making the transition from being married to being single. The length of the alimony payments may not exceed 2 years. Permanent Alimony – payment to help a spouse maintain the standard of living they have become accustomed to during the marriage. Most often, permanent alimony is only available for marriages that have lasted for at least 17 years. This type of alimony will provide for the needs and necessities of a spouse who lacks the financial ability to be self-sustaining. Florida divorce law does not have any concrete guidelines that courts must follow when determining alimony payments. The skill and experience of the attorney you hire in your divorce proceedings can make a significant impact on the court’s decision to award spousal support. Without competent legal counsel, you could be required by the court to pay more alimony than you should, or conversely, not receive the full amount of alimony payments to which you are entitled. 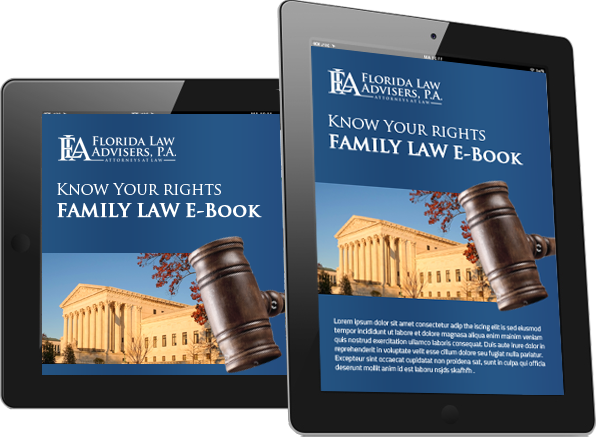 The attorneys at Florida Law Advisers, P.A. are experienced in all types of alimony and have a thorough understand of the law. Whether it has been requested that you pay alimony or you need to receive alimony for financial support, we can help. Contact us today to schedule a free consultation with a Tampa divorce attorney at our firm.